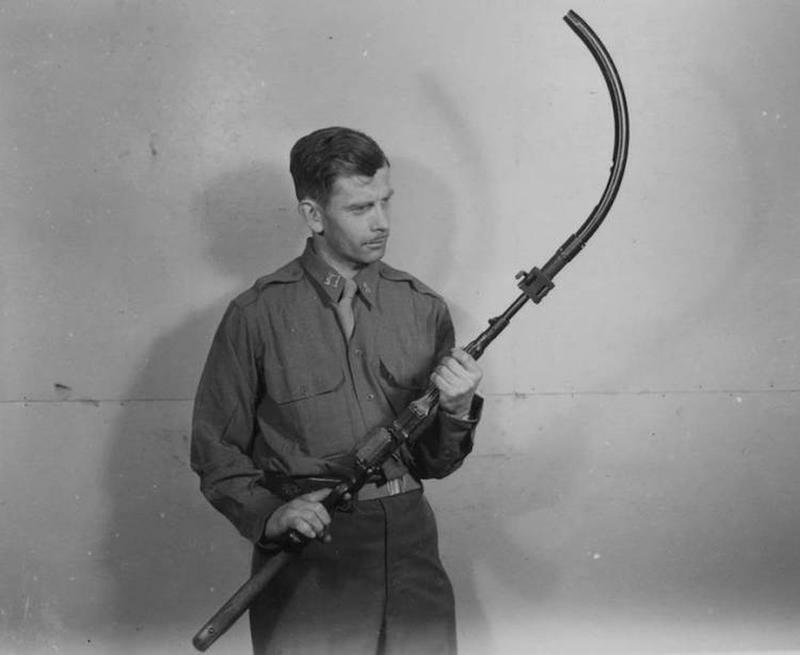 This man is holding a Krummlauf, a rifle attachment that was developed by the Nazis during World War II. Unfortunately, they had a very short lifespan and even caused bullets to shatter. This incredibly impractical device was meant to be able to shoot around walls and over barriers, but could actually live up to the idea. It was produced in small numbers and never saw much use in the field. The Sturmgewehr 44 assault rifle attachment came with a periscope sighting device that, in theory, would’ve helped the soldiers shoot from a safe position.